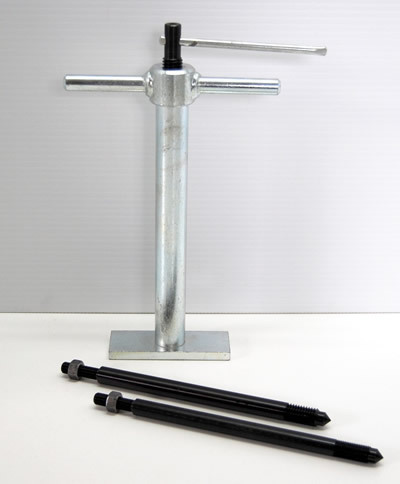 The tool is for a Classic Mini, used for compressing the Rubber Suspension Cone on the Front Suspension. Allowing the Top Control Arm to be removed. The Early cars had standard A/F thread the later 1976 on used a Metric thread. This Tool fits both types.